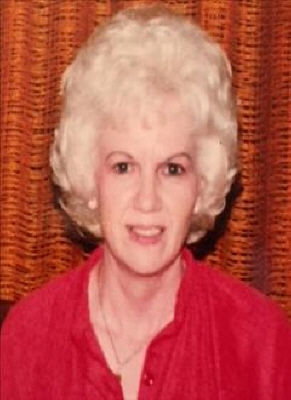 Eula Faye Rinehart passed away Thursday January 24, 2019 at Holdenville General Hospital at the age of 89. Faye was born February 17, 1929 in Holdenville, Oklahoma to Henry Vernon Leach and Laura Lucinda Sherrin Leach. Faye was raised in the Hughes county area and also attended Spaulding Public schools. She married James Rinehart April 15, 1970 in Norman Oklahoma and In addition to being a homemaker, Faye was retired from Southwestern Bell Telephone Company. Before final retirement, Faye was chief accountant for one of the largest Commercial Painting companies in the United States. Faye cherished spending time with family and friends. Faye was preceded in death by her parents, children; daughter Amby Roberts Elkins, two sons James Raye Roberts and James Melton Rinehart. Two sisters Betty Lou Leach Rutherford and Alta May Leach Cutting and one brother Billy Dean Leach. Survived by her husband James Isaac Rinehart, children; Gwenda Roberts Summy, Jimmy Leon Roberts, Sandra Rinehart Johnson, Jason Rinehart. Thirteen grandchildren, ten great grandchildren. Funeral services will be Tuesday January 29, 2019 at 2:00 PM at Hudson Phillips Funeral Home Chapel in Holdenville with Brother Jerry Summy officiating. Pallbearers will be Cheyne Elkins, Dustin Elkins, Scott Summy, Jon Summy, Jace Summy and Brian Howard. Public visitation will be Sunday January 27, 2019 at 1:00 PM at Hudson-Phillips Funeral Home. A gathering for family and friends will be Monday January 28, 2019 at 6:00-8:00 PM at Hudson-Phillips Funeral Home. To send flowers or a remembrance gift to the family of Eula Faye Rinehart, please visit our Tribute Store. "Email Address" would like to share the life celebration of Eula Faye Rinehart. Click on the "link" to go to share a favorite memory or leave a condolence message for the family.